This seminar occurred on the 17th of February 2019 in Pune, India. It brought arboriculture to the table of planning and infrastructure in Indian cities. Tree consultants from India, the UK and Singapore presented to architects, landscapers, municipal corporations and other professional bodies involved with trees. There were several good speakers with different experiences and backgrounds. They provided us with different views on current techniques and practices from around the world. It was a refreshing experience when arboriculture is currently rather rare in India. Island Lescure, director and consulting arborist of Treescapes, was there to speak about the benefits and drawbacks of trees in urban spaces and how to improve matters. This is important as engineers and town planners need to be made aware of the importance trees can bring to improve social wellbeing, storm water management systems, energy savings and many other social, ecological and environmental aspects of our lives. Trees enhance our lives: this can even be worked out in a monetary way by using tools such as itreetools.org. But these trees need appropriate installation and management. Our associate, Jonas Suchanek, executive and climbing arborist of TreeCare India, was also present to give a demonstration of safe climbing techniques used around the world. This evoked quite a bit of interest (as fit young men swinging around in trees usually do) to improve the safety and efficiency of staff members of various parties present who climb trees. The current method of climbing and working in trees is both very safe and efficient. Short training courses can be provided. We hope to see more of these sorts of events in India in the future. This will bring awareness of trees to people and it will enable us to improve ourselves and share our experiences. For a first event, it was a great success! This is a survey that will hopefully gather the information needed to improve the selection of roadside trees and trees near houses in South East India. One of the most important factors for roadside and house trees here is to provide shade during the hot summer months. Many deciduous trees in non-temperate regions lose their leaves during this time. The other most important factor is the ability to survive in the heat and scarce water conditions without high maintenance schedules. The potential trees are therefore drought resistant and most are evergreen but other aspects have also been taken into consideration. Please forward this to anyone who may be able to provide feedback of any sort or help out in some way. Insisting on good quality tree seedlings from nurseries can ensure that your trees will thrive for considerably longer than plants already riddled with defects. This is an important consideration for trees that will live for decades or potentially much longer. Bigger seedlings are not always better. The smaller the tree, the more it is likely to be in establishment mode (growing roots to be able to obtain the necessary water and nutrients for later growth and maintenance). It will need water and mulching to help it along but once it gets established, it may overtake plants that were planted as larger seedlings. Selecting seedlings with a main stem will reduce potential future issues such as weak branch unions and damage to branches from rubbing branches. Select seedlings with most branch unions in “U” form. Genetic variations or/and improper pruning can cause some trees to produce weak unions. This has been a major issue at times when large quantities of such stock have been planted along roads or in public places as they lose healthy branches periodically and will eventually need to be removed. This can be very dangerous if they have become large trees. Avoid seedlings with damaged or diseased branches and/or leaves. This could otherwise mean that your plants would not survive very long and/or they might infect other nearby plants. Some seedlings are sold grafted. This means that a scion (top bit which determines the fruit and flower) is fused onto a root stock (bottom bit which determines the vigor, ultimate size and drought resistance of the plant). One such example is the chikoo (Manilkara zapota) scion which is grafted onto a Manilkara hexandra root stock which helps it survive in the arid conditions of Auroville. 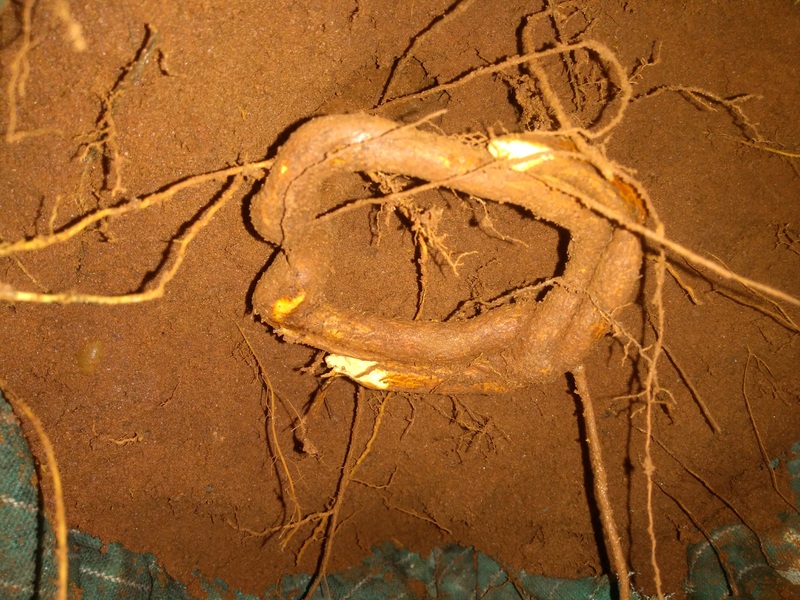 Another advantage of grafting is that the plant will bear fruit earlier than normal as the scion will have been taken from an already fruiting plant. When buying grafted plants, make sure the grafts have fused properly. If a branch grows from under the graft union, you will get flowers and fruit from the root stock on that branch (which is often not wanted). 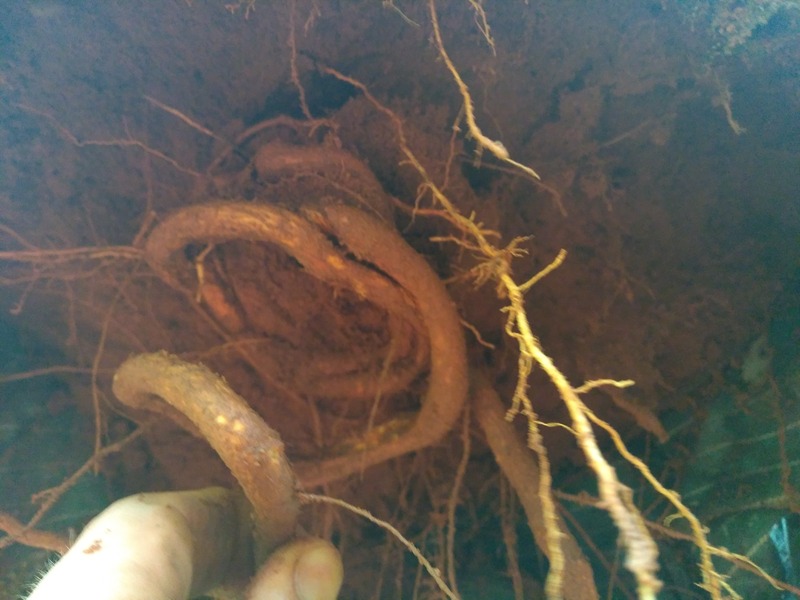 Check the roots before planting. Many seedlings are kept in containers that are too small for them. This often leads to roots turning around the container and creating girdling roots. The impact of this can be seen years later when such trees topple over or die from, essentially, self-strangulation. Some turning roots can be pruned if they are caught early enough but not if removing them would severely affect the health and then possibly the structure of a tree if/when decay sets in. If small roots are found circling at the bottom of the pot or bag that your tree comes in, they can be teased out or pruned if too thick. The following two pictures show a tree that has failed entirely due to girdling roots: The tree has a stem diameter of at least 60cms and a height of nearly 10 meters. You can clearly see that it is lacking lateral roots. We transplanted this (other) tree after it had been in the ground for several years. It had two roots which would have later damaged it and were therefore pruned. This tree will require a bit more aftercare than if it had been left with the defective roots but the long term effects will far outweigh the initial stress. In the same way, trees properly grown and prepared in the nursery will be much more beneficial in the long term. A brief article to inform people of how to go about digging near trees and why it matters. Digging occurs for many reasons but the most important (for the tree) usually occurs when a trench is being dug for foundations or utility, such as for cables or pipes (there are many ways tree roots can be damaged but I am concentrating on digging damage). 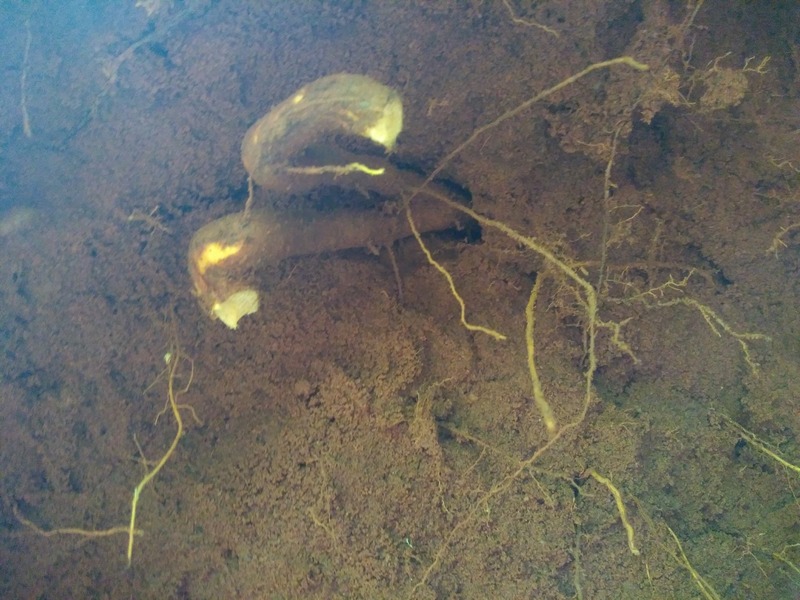 Tree roots, usually, do not go below a meter in depth in the ground as there is not enough oxygen below to sustain them (through respiration). 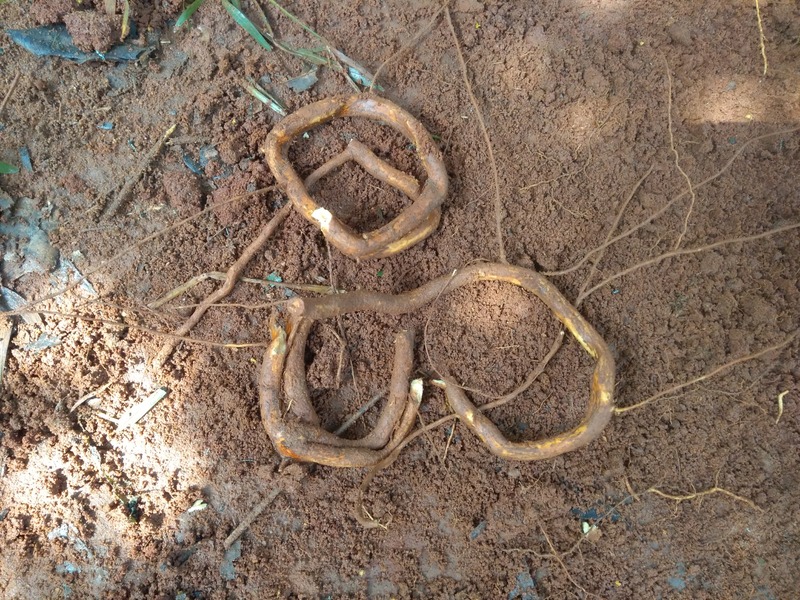 This is why it is usually feasible to dig under tree roots (Figure 8.16) instead of through them to install cables and pipes. For trees with tap roots, one can dig under the roots but to the side of the stem rather than directly under it. Construction work near trees should be properly evaluated as most root damage to trees often occurs during this time but the effects will only be seen several years later. A new construction was planned to go around this tree (image) as it was a central focal point. The tree was not considered sufficiently. The result was that many roots were destroyed during excavation and a main branch was to be removed. 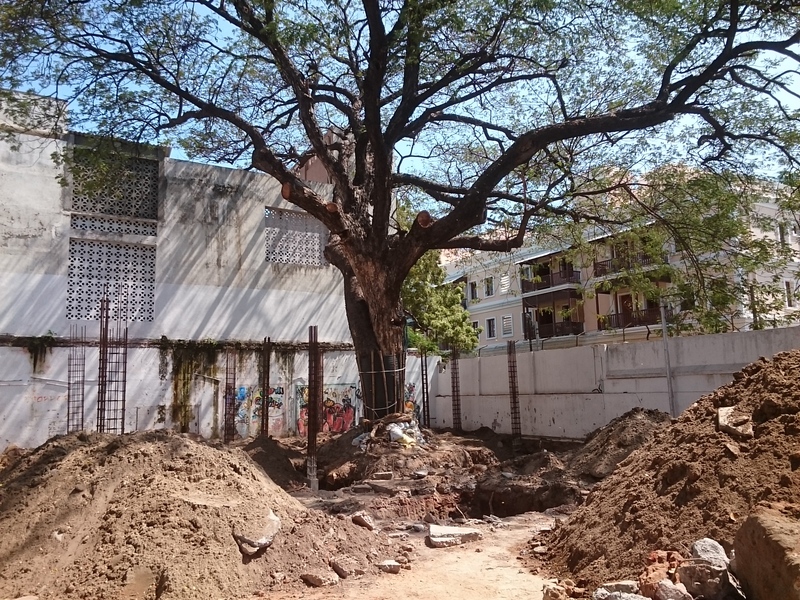 I was called in by the owners who could clearly see that the tree had become a hazard as the above ground parts stretched for over 15 meters each direction and the below ground parts were all cut off at 1.5 meters in each direction. 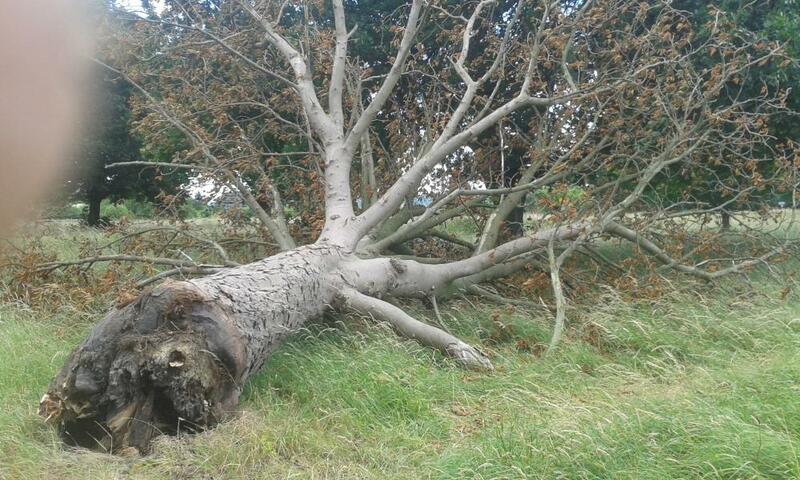 The only outcome was removal of the tree as the stability and health of the tree was severely compromised. Construction work near trees should be properly evaluated as most root damage to trees often occurs during this time but the effects will only be seen several years later. 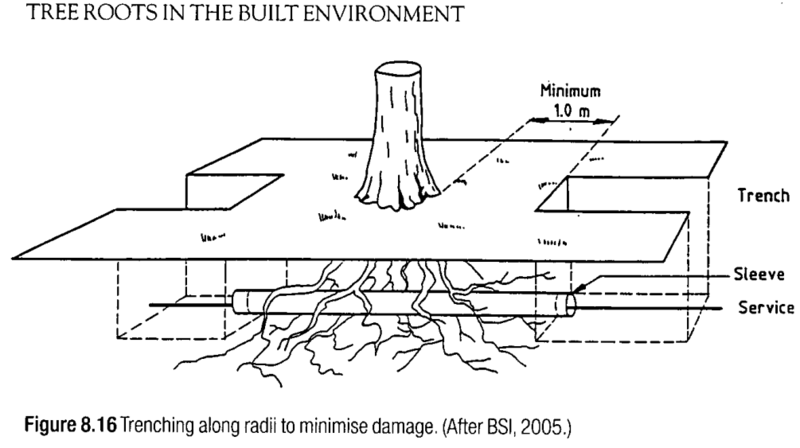 The UK minimum root protection area is 12 times the diameter of a tree measured at 1.5 meters from ground level (a 12 meter radius for a 1 meter diameter tree). Before digging within this area root presence or absence should be verified. Foundations within this area are most often of the pile variety rather than the typical trench foundation. Please think next time you want to dig near trees, especially if you want to build as close as you can to that special tree, because that may just shorten its life time significantly and defeat your purpose. The transplant of this tree occurred to place it in a more appropriate place (more space). It was completed in collaboration with Tree Care India for a member of TVS Corporation LTD. It is a special tree as it was brought as a seedling from the Galapagos Islands. It produces yellow flowers unlike the common Delonix regia. If you have a tree in India that you think might benefit from being moved to a better location, please get in contact with myself or Tree Care, India (link above). We would also be happy to discuss details with regards to anything tree related. I hope this will inspire people to move some trees instead of just chopping them down. Today I attended an Arboricultural Association workshop presented by Dr. Duncan Slater entitled Assessment of Tree Forks. I thought I should share my take on it as I find it very important for people in my industry to consider these things. The workshop is based on research by the above doctor and his associates. There were many points raised, but what I found most relevant to myself and I believe to anyone inspecting and/climbing trees in a commercial manner, are the uses of terms such as compression forks and tight unions to denote high risk of failure unions. It was proven that there is no compressive force pushing forks with included bark apart and that a fork with an acute angle does not necessarily mean that it is weak or without a branch bark ridge/with bark inclusion. Weak forks are most often formed when little or no pressure is exerted on their apex/top but this is usually because they are supported higher up in the canopy by crossing/rubbing branches or/and actually fused branches. A weak fork will not fail if it is supported. What this means in practical terms is that one should think twice about crown cleaning crossing branches despite the commonly accepted practice to remove crossing branches because they can lead to branch failure. This also means that if supporting branches decay, the fork must build sufficient reaction wood before it is subjected to a force strong enough to make it fail. The period before it has done this is when such forks are at the highest risk of failing. Some forks with included bark will never be able to reinforce themselves sufficiently, but these types of forks can be identified. It is important to know your forks when working with trees and this has helped me be more confident in my tree assessments. A large area of soil, approximately 50 meters by 60 meters has slid down a bank towards a river during the heavy rainfall in late 2015 that caused flooding in the northern part of the UK. The slide was of at least a meter in some areas and in others perhaps 5. The depth of soil that has moved was suspected to be several meters deep. There is a shale layer above a clay layer and the former seems to have slid over the latter. We had been called in to clear an access for land surveyors to assess the ground. Other staff were also digging bore holes to inspect the soil bellow ground in numerous areas. This latter operation was sending vibrations throughout the area. With the trees that have followed the landslide in their entirety (as the majority of their roots are only in the top meter or so) still standing and alive, it was impossible to assure that they were not a risk to the persons working around them. We therefore deemed the area unsafe and removed the most obviously potentially dangerous trees near the area where people would be working. Some of the trees had been observed tilting whilst the workmen were on site and these (and others) had the area up to 1.5 meters away from the base of the trunk lifting/tearing away from the ground. It was very interesting to see this as it is not something I have come across before and wonder how one could properly inspect the damage done to the tree roots. Many of the roots will have been severed and as it has not been very long since the event, circa 8 months, decay will not have set in fully. I expect a few more of these trees will fall down in the next few years. Many of these trees are white poplars though there are some sycamores, beech and ash in the area as well. The sycamores that have landed in the river are obviously dead, most probably from oxygen starvation with the roots being entirely submerged rather than, or in addition to, direct physical damage as again, these are still standing. They have tilted further since our first visit. Both of these trees moved whilst people were there. An ancient ash tree, Fraxinus excelsior, topped 18 years ago due to the presence of excessive decay which was compromising its safety. It has since been pollarded every six years or so (including when I just did it). An example of how habitats can be preserved and encouraged to grow without posing any risk. Can you spot the 3 cavities visible from this direction? A horse chestnut tree pollard which was removed to make space for the neighbouring trees was ringed up (cut up into manageable pieces) revealing interesting patterns inside due to fungal decay. 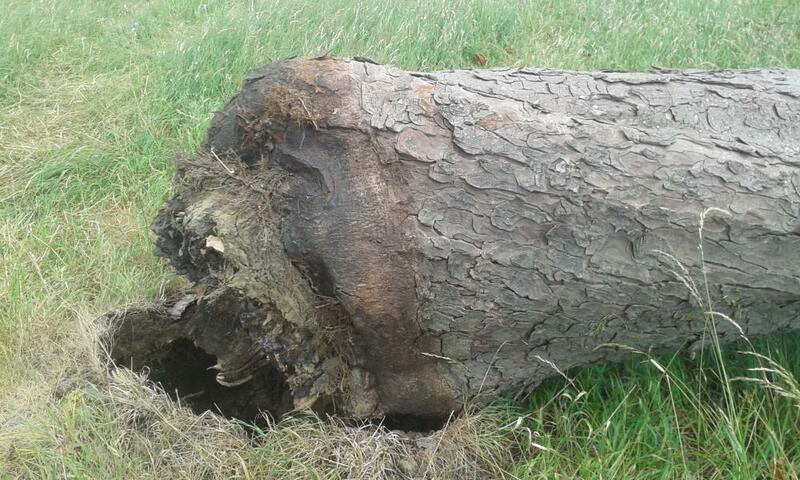 It was interesting to try to ascertain where the decay had originated from by looking only at the decay in the trunk. I would have thought that the more decayed area would be closest to its origin but it was not so evident. Trees need surveying for multiple reasons. Here are a few. 1: When buying a property that includes trees which might affect the initial or long-term price due to maintenance or removal of said tree(s). 2: Tree safety surveys (anywhere where many pedestrians or motorists visit often): in public areas such as schools, on private land or on commercial areas such as car parks. This serves to prove that the landowner is fulfilling their duty of care (not being negligent) and as such reducing the risk of damage to persons and property. 3: Development surveys compliant with BS:5837, 2012 Trees in relation to design, Demolition and Construction. To be included in planning applications where trees are present. This will also include trees that may be damaged by vehicular traffic on the site and will also include trees in neighbouring properties whose roots and/or branches may be affected. 4: A Condition report, to give a idea of the state of the trees on a site. This would possibly also include a management plan: what tree work is required or if other inspections (possibly aerial) are required down the line. This would include timescales for the work required or re-inspections. 5: Management plan: More often for older trees, veterans and ancient. 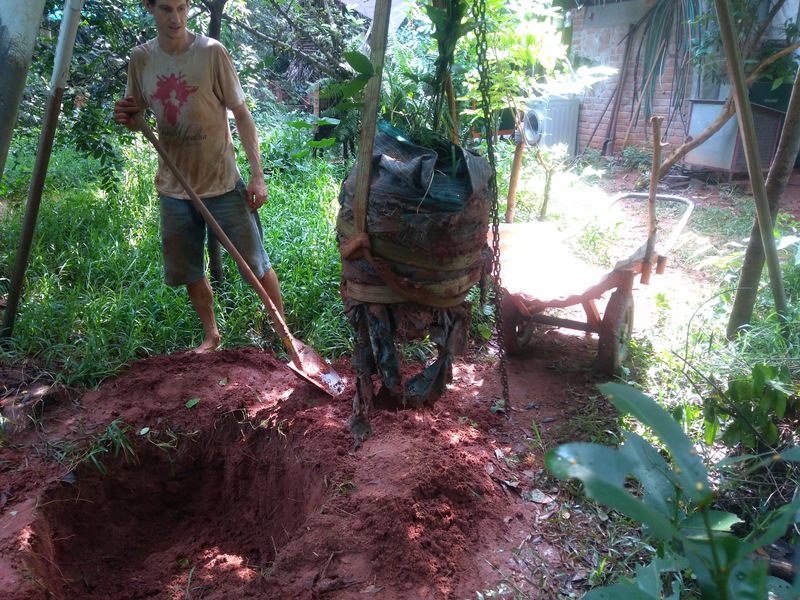 If retrenchment is required to keep an old tree with a lapsed pollard from failing structurally, it may be beneficial to reduce the tree in stages and perhaps help it in other ways such as removing some competition (other trees), ameliorating the soil (perhaps with an airspade) etc… to enable reducing the tree without killing it a few years down the line. A few pics showing how much defect can be present in a tree before it fails. The first picture is of a larch on a woodland edge that was mostly dead, leaning heavily in the direction of the chainsaw. It was approximately 10 meters high with foliage on the leaning side. You can see that some parts of it have been dead for a while. Only the really light stuff on the bottom was alive. The next two pictures are of a sycamore which managed to remain standing even after we disconnected it from the neighboring tree. There was very little sound wood left and yet it managed to support probably about 2 tons of tree.